Financial accounting and management accounting both are significant branches of accounting. Despite being a part of accounting both these branches differ from each other in numerous ways. While the financial accounting focuses on providing a clear picture of a company’s financial position within a particular period of time the management accounting stresses on giving significant information to the managers including both qualitative and quantitative aspects of information with an aim to maximize the profits. HOW MANAGEMENT ACCOUNTING DIFFERS FROM FINANCIAL ACCOUNTING? In case of financial accounting the ultimate users are generally from both the fields – internal management and external affairs of the company while in case of a management accounting the users are only from the internal management itself. There is no involvement of external parties in case of management accounting. 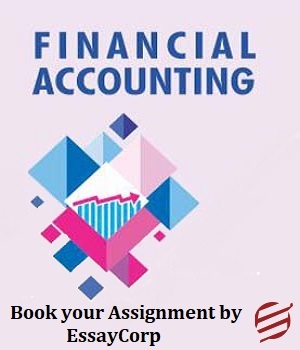 Financial accounting requires to be reported publically to all the related members but in case of management accounting there is no need to showcase any information related to management accounting to the outsiders as these information are considered to be highly confidential and only for the use of organization only. The information related to the financial and monetary aspects are included in financial accounting. Management accounting comprises the information related to both the aspects whether it is monetary or non-monetary. The examples of non-monetary information can be number of total workers, employees, usage of raw material, quantity of raw material etc. There is an arbitrary and prescribed format of exercising the tasks and activities related to the financial accounting. In case of a management accounting there is no such prescribed format or outline to exercise the related activities. The information related to the operations of business entity to its ultimate users are always provided with the help of financial accounting while in case of a management accounting the information related to the evaluation of employees performance and organizing the future plans etc. is provided. The financial accounting is generally taken into account for a specific time period mostly the time span revolves around a year. But if we talk about the management accounting the effects are taken into account for meeting and fulfilling the needs of management and the time span can be quarterly, half yearly etc. The use of financial accounting is very much important for any company because of the auditing purpose on the other hand management accounting needs no auditing as it is a volunteer aspect of a company. Financial accounting is mainly used for stakeholders, investors etc. while the management accounting is used for the management only. The basic meaning The management accounting is all about helping the management to take effective decisions for the sake of business. Financial accounting deals in analyzing, classifying and recording the financial affairs of an organization. Application It is applied to initiate strategies and take meaningful steps for the growth of business. It is applied for depicting and analyzing the clear picture of company’s financial affairs. Mode of measuring The management accounting performance can be measured in both ways such as qualitative and quantitative. It is measured in quantitative approach only. Level of dependency on each other Management accounting depends on financial accounting for numerous financial reports and to make accurate decisions. Financial accounting is not at all dependent on management accounting to make any decision. Foundation of decision making Historic and revelatory information is considered to be the basis of decision making. Only historic information is used as the basis of decision making in case of financial accounting. Financial and management accounting both these branches of accounting are of great significance in their own different and unique ways. The usage and importance of anyone should never be denied. Both management and financial accounting serve their purposes for the benefit of an organization. As on one hand financial accounting is extremely helpful in the appropriate classification and record keeping of numerous financial transactions of any organization, on the other hand management accounting supports the internalities of any organization such as analyzing performance, taking accurate managing decisions, outlining the policies etc. Both of them are important for profit making and smooth running of an organization or company. 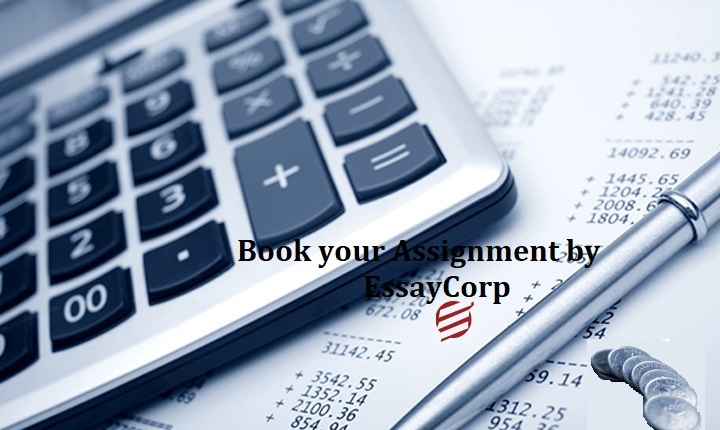 EssayCorp is the worldwide popular name in the field of assignment help providers. 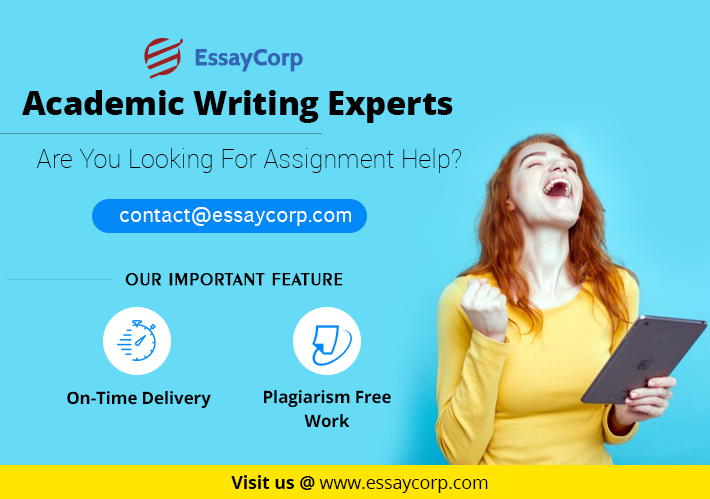 We are a team of professionals who are keen to support the students with their assignment queries. We engage the professional subject matter experts to craft your assignments skillfully and efficiently. Our online services are always available to help you any time any where.